I think my journey to real estate is a little different than most. You can say real estate kind of found me. I believe that a huge part of life is timing. Whether you are able to be at the right place at the right time. I always say real estate was greatness that was thrust upon me. I started my journey in 2009 as a transaction coordinator with Sequoia Real Estate. I started in this industry with almost no knowledge or experience. I would say Kelvin took a chance with me and I am forever grateful for that. It took me roughly 3 years before I actually buckled down and got my real estate license. I still cannot believe I’ve been with this company for almost 5 years and I cannot be more blessed to be a part of this company and surrounded by so many supportive people. We are in an industry that’s constantly changing, and being surrounded by people who are eager not only to learn but to teach is simply amazing. The most exciting part about real estate is having the opportunity to help my clients take a step into their future. Whether it is purchasing a first home or selling their current home, it is humbling to be trusted and to have the opportunity to be next to them and to assist them during what can be a uncertain part of life. Well, the thing about real estate is, you work. A lot. But, when I have some free time, you can find me in bed trying to dive into a new book. I am almost ashamed to admit that it feels almost impossible to give up caffeine and my cell phone. I am a true believer that any collaboration will go further than a single person can. I believe everyone has his or her strengths and weaknesses and that is what makes a team effort so much more powerful. This is one of the main reasons why I am a 100% believer of Sequoia’s support staff system. Real estate or anything in life can be a long journey. Now imagine how much more enjoyable this journey can be--if you had the right people next to you. The purpose of life is to enjoy each milestone for what it is. We spend too much time planning our futures and there is nothing wrong with that, but while you’re planning and eagerly anticipating the “future” to happen… you may forget to enjoy the now. As a native San Franciscan, Kalok Law has spent her lifetime exploring and navigating the Bay Area. With this experience, she offers a thorough understanding of a city that so many fall in love with and one where so many desire to live. Her love of San Francisco has led to a successful career in real estate where she is a trusted and invaluable agent to her clients. Kalok has multiple years of experience in the real estate industry and possesses detailed knowledge and hands-on experience of the home-buying and selling process. In addition to being a licensed agent, she skillfully administers the many transactions of the Sequoia Team. Kalok is a member of the California Association of Realtors and the San Francisco Association of Realtors. For clients looking to buy, sell, or short sale, contact Kalok to devise the best strategy for your real estate needs. We'll start at the beginning. We set aside a morning one weekend to discuss with Kalok the move we were hoping to make into a new home in Castro Valley. She got me up to speed on how everything works and all the different scenarios that could play out. I am a man of one million questions and throughout this entire process I have always gotten an email or a call back very promptly with an answer. We went to several open houses/showings and the first thing I noticed was Kalok's ability to really work around our schedules to make scheduling work. Her willingness to drive out to us for a single house showing is what I would call dedication. At each showing she was sure to point out small things that we would have otherwise missed! We really valued her opinion throughout. We finally found the home we wanted and placed our bid in the house. We ended up getting it and once again, Kalok walked us through everything step by step. As a first time homebuyer myself, I felt confident knowing she was on my side. From beginning to end, it has been an absolutely great experience. The dedication, the honesty, and all around great personality of Kalok made this wonderful. It is always good to work with a real estate agent who is looking out for you. Cannot give enough accolades to Kalok and all of her wonderful support through this entire process. Without her, we may not have found out forever home! Upon meeting Kalok I instantly knew she was going to be my real estate agent. Her communication, professionalism and dedication is the best I have ever experienced. I love the time outlines and objectives that she would email us. I never felt lost during the process (which we all know can be stressful sometimes). At anytime that I had a question or didn't understand something in the process, she never hesitated to explain it to me until it made sense. I admire her ability to be able to do that. It's a talent not many posses. Kalok, treated and made us feel like we were the most important clients in the world and always looked out for us. She makes things happen. Truth be told this experience made me feel that God put her in our path to help us with this major chapter in our lives. We love you Kalok. Kalok was heaven sent! She deserves more than 5 stars!!! From beginning to end, she was always communicating with us about the whole process. That helped to alleviate any worries on our part. Our whole process went fast. I found the house on a Wednesday evening (around 11pm) and it was Off Market, but was about to be available in a week. Kalok had just arrived in Chicago that day for vacation. I still contacted her about this home and she said she would call the listing agent in the morning to get info. Thursday morning, Kalok got back to me, so my husband and I saw the house that day, made an offer that night, and by Saturday before Kalok's trip was over, we were told our bid got accepted! This is our dream home, and thanks to Kalok, we were able to get it. I can't stress enough how on top of everything and how thorough she was during this whole adventure. We never had to chase after her to get things done. She was already 10 steps ahead. We are first time home buyers and we did have a lot of questions and she always did an excellent job in answering us and was so patient. Not to mention one of the sweetest people we have ever met. My husband and I are already telling our coworkers and friends/family about her. We are beyond grateful that she represented us and we cannot thank her enough for helping us secure our dream home! Kalok is so knowledgeable and is always a pleasure to work with! We worked with her recently on the sale of our previous house and the purchase of our new home. She got it all done for us in 4 months in this market! She explained the process clearly to us ,held our hands when needed, and worked tirelessly around our schedule. During the sale of our first home, we encountered couple of road bumps (caused by things out of her control) and she led us through the stressful time seamlessly. Her experience in this field really shined through and even when she didn't know the answer, she had an abundance amount of resources and a wide network she leaned on to get us the required information. 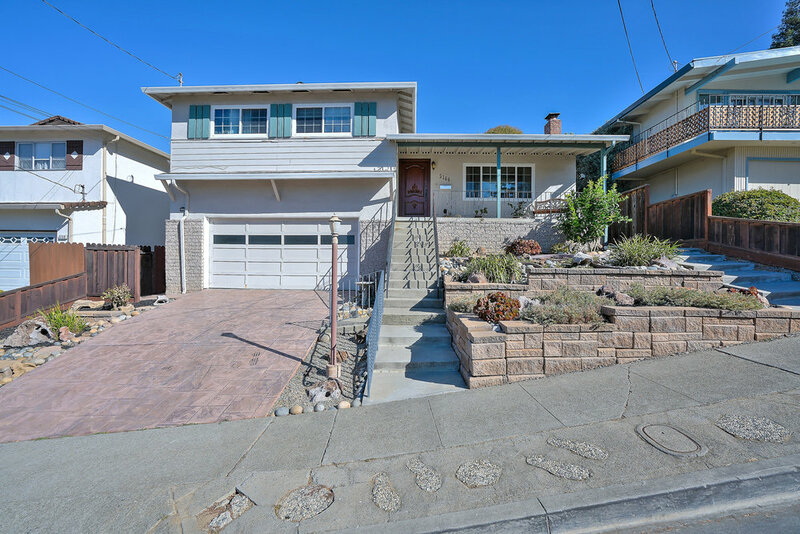 In both transactions, she worked really closely with the other realtor, escrow officer and loan broker to move the process along - and we could've closed early if we wanted. It's also obvious that she has a good relationship with them and leveraged it when it was necessary. We appreciate her making the process so easy for us and we highly recommend her to anyone looking for a realtor who is genuine and will always look out for you! Kalok navigated us through a very tough and competitive San Francisco market. She always bounced back and followed up. Kalok persisted and never left us hanging. Selling our first home in California had many challenging moments. Kalok always gave us the information we needed to know to help us through those challenges. We are so lucky to have an the opportunity to work with her. She eased our uncertainty with a good amount of reassuring and problem solving. She is excellent at her job. Kalok, thank you over and over again for all you have done for us through this sale. We could not be happier with the end result. We both couldn't have purchased our first home without Kalok's help. In the future if we want to purchase another home or sell our current home we will definitely be going back to Kalok for assistance again without a doubt. Being a first time home buyer we had a lot of questions and concerns, naturally. But Kalok and her team are awesome in clarifying, breaking down step by step, the process of home buying. And now we are home owners! She worked around our schedules - even when I would be stuck doing overtime at work! She would still be available to see a house with us that we wanted to check out. We looked a various locations and price points, and she knew what to look out for when looking at a house. When we were negotiating in escrow, we really felt that Kalok was looking out for the both of us. It was VERY comforting that we knew we had her support. I recommended her and Sequoia to the people I knew in my network and group of friends who are in the market of buying a home. Kalok was truly a godsend for us during our first home buying experience. We had a million questions and she answered them all in a friendly and thorough manner. She was constantly in contact with us with new listings and she was always available to help us through every part of the home buying process, no matter how big or how small. Finally, as she helped us navigate to the end of an arduous journey, she retained the same level of enthusiasm, professionalism and follow through that she had on day one. She's a great agent and we were lucky to have her. My wife and I just bought our first home. We interviewed and worked with a few "more experienced" real estate agents and were very disappointed... until we met Kalok, who was recommended by a friend. At first, I have to admit, we also thought that her youth could be paired with inexperience. But here we are today, closed and happy to be so, in less than 3 months from start to end. That's pretty short, knowing that other friends and colleagues did take from 6 months to a year to find a home. We also have busy lives and our schedules are pretty eclectic but Kalok worked around us each time. She answered all of our questions and would seek answers from knowledgeable sources to do what it took to get the best answer possible. She was very available and patient. She would always be on our side and support our decisions. There would not be a house or a price that she would not be willing to work with. She would support us and defend us against others. In the end, she worked smoothly with our mortgage broker and the seller's agent to make this transaction as fluid as possible. I would recommend working with Kalok, and we will certainly use her again, whether we buy or sell our home. Her flexibility and dedication will exceed your expectations! Melanie Leung and Kalok Law recently helped us list and close the sale of our first property we’ve ever owned. As first-time sellers, we were not sure what to expect but from beginning to end, the process was extremely smooth and we really couldn’t have had a more positive experience. After talking with another “bigger-name, well-known” brokerage house, we ultimately decided to list with Sequoia. Beyond the exemplary demonstration of the local and area market, we felt that Melanie and Kalok just worked harder for our business, and that would carry through in the selling process.We were not disappointed. Several open houses, many private showings, and less than 2 weeks later, we had 9 offers in front of us. It’s no secret that it was a white-hot seller’s market when we listed, but to say we were pleasantly surprised by the sheer quantity as well as quality of the offers we got is an understatement. Melanie and Kalok did an excellent job in helping us through the process, all in the most professional and organized manner. They seemed to know just how to apply the right amount of pressure at the right times, and were always ultra responsive to any questions or concerns we had along the way. 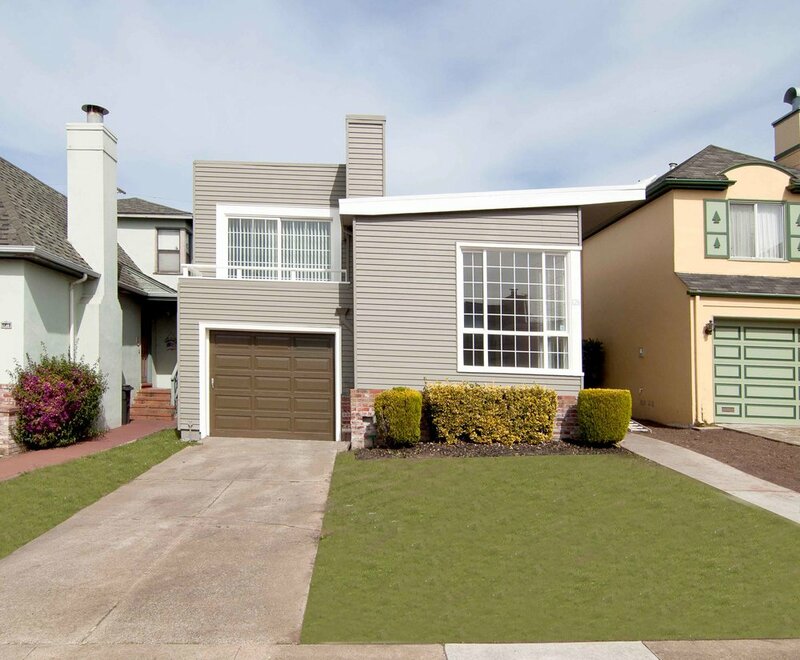 We thoroughly enjoyed working with Sequoia, Melanie and Kalok and can highly recommend them to anyone looking to sell, especially in San Francisco. "THE PERFECT EXPERIENCE, is all I can say initially. Kalok was able to provide great advice on what I needed to do to market my house to the best that it can be. 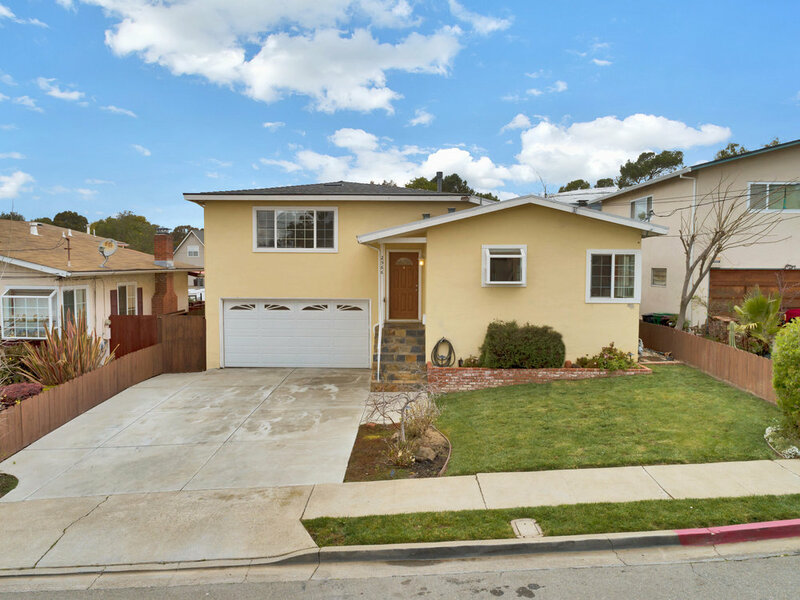 She also, along with colisting agent, Eileen Chau, was able to pick the perfect price point for listing my property. From there on it was as smooth as butter for the rest of the transaction. We received 21 offers on the house and Kalok was able to work the negotiations with the top 6. She did a stellar job getting in contract with the best offer. All together with the updates and all, I couldn't have asked for a perfect agent. If you have the opportunity to work with her, take it and know that you're in great hands." Perry & Sophia K., Sellers of 16867 Genevieve Pl. "It was such a pleasure working with Kalok as our agent. Not only does she have strong expertise in real estate and the general home-buying transaction process, but she was very helpful, patient and understanding. I was particularly impressed by her willingness to help us with the little things for the home: getting quotes for window replacements, helping us arrange for a handyman fix the jacuzzi tub cover, reminding us to re-key the locks, etc.I would highly recommend her as an agent to my friends and family!" 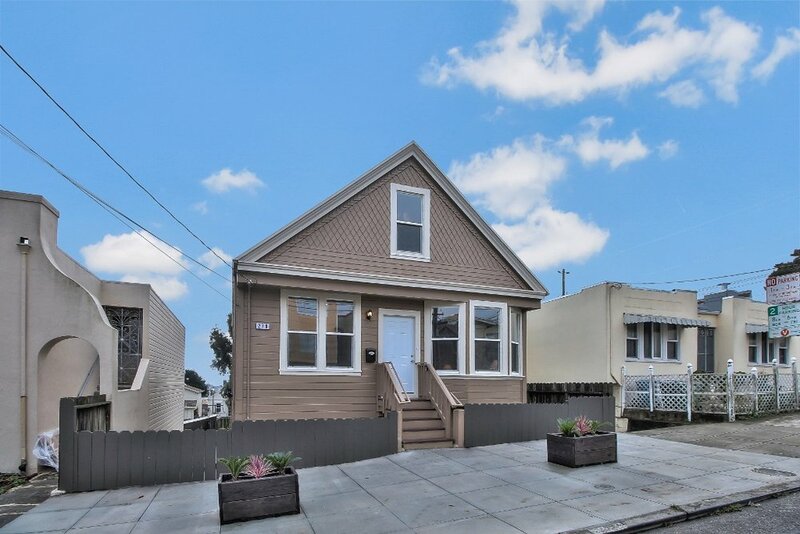 I recently had to relocate to the Bay Area for work from Hong Kong and looking for the right house for my family with a language barrier was a daunting task. Finding the right Realtor was even more stressful. We were very lucky to have found Kalok who was a referral from a friend. She is super patient, reachable and resourceful. She negotiated even the smallest requests for us and managed to close escrow in 15 days during the Holiday season. I would definitely inquire her service again when we decide to sell or buy again. As first time sellers, my husband and I are fortunate to have Kalok and Kelvin as our agents. They were very patient in answering our endless questions and always provided the rationale for any decision making, which put us completely at ease. Their dependability, one-step-ahead attitude and expert negotiation skills left us worry free during the whole process and even got us a higher sales price. In addition, we loved the complimentary staging service they offered! We would definitely recommend them and their team to anyone looking a dedicated and efficient real estate team.